Installing video cameras in all rooms at psychiatric facilities could help prevent patient suicides, says a fatality inquiry report after a father of four hung himself while in the psychiatric unit at Medicine Hat Regional Hospital. Installing video cameras in all rooms at psychiatric facilities could help prevent patient suicides, says an Alberta fatality inquiry's report. The report comes four years after Glenn Piche, a 49-year-old father to four daughters, was found hanging from a bed sheet tied to his bathroom door just one day after being admitted to 5-North, the psychiatric unit at Medicine Hat Regional Hospital. Upon hearing of his death, Piche's family wondered why their loved one, who had been diagnosed with bipolar disorder and had threatened suicide in the past, was left alone at all. A three-day fatality inquiry was held in May to find answers to those questions. The ensuing report recommends that surveillance cameras be installed in all psychiatric unit rooms at 5-North because "the safety of the patients is more important than the privacy issues that might be argued." It's one that Piche's sister-in-law Julie Piche believes would have saved his life. "Because there's no way he would have gotten away with, they would have seen him making a noose," she said. Julie argues the cameras would also be effective in ensuring staff are accountable. "I mean, they're going to be on these cameras, right, so when they go in and check in on the patient are they really checking them or are they just you know popping their head in? So they have to be accountable for what they do as well," she said. Past inquiries have made the same recommendation, but Alberta Health Services has not implemented it, notes the report. "I understand from our team there are some areas that we've done a lot of work in, things like looking at the environment, looking at policies and those sorts of things," said Katherine Chubbs, the chief zone officer for the south zone with AHS. "And there are some areas, perhaps not having the conversation, that there will be more opportunities going foward." According to the inquiry, each of 5-North's five seclusion rooms — intended for high-risk patients — is already equipped with video cameras. The report makes eight other non-binding recommendations to improve psychiatric patient safety. Among those is the recommendation that nurses overseeing patient care on the psychiatric unit should, "on a case-by-case basis, monitor the patient's use of the patient phone and be able to determine the limitation, if any, to be placed on a patient's use of the phone." This recommendation stems from evidence that Piche used the patient phone repeatedly during his stay in 5-North, and that, at least once, the nurse noticed he was extremely upset after his phone call was completed. 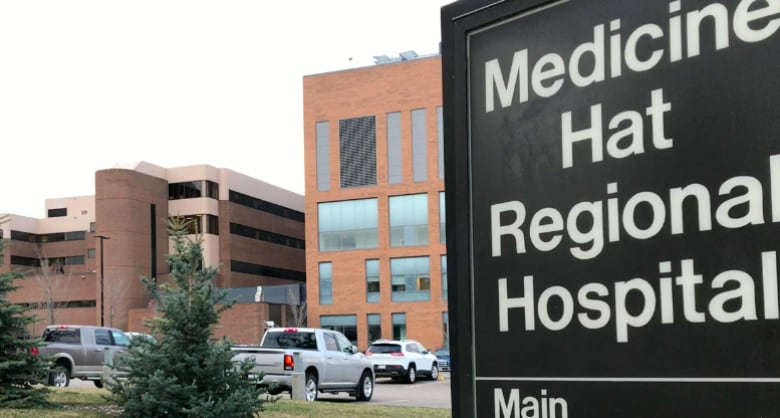 The report also recommends that all records at the Medicine Hat Regional Hospital be put in electronic form as quickly as is reasonably possible so that doctors can make timely and proper medical assessments. It also recommends that attending psychiatrists receive all on-site patient records within four hours of admitting a new psychiatric patient. During the inquiry, court was told that the Piche's attending psychiatrist, Dr. Aditi Patel, asked for Piche's medical records the day he arrived. But Patel still had not received them by the time Piche took his own life on June 20, 2013. If those files had been made available to her, she would have seen a series of suicidal attempts and threats dating back to 2003, including two earlier stays at the hospital in 2013, one in March, and the other only two weeks before his last admission. Instead, Patel told the court, she relied on the information she had at hand, which was that Piche's family said he was suicidal but that Piche adamantly denied that. "He thought that these were false accusations and he had no intention of hurting himself and he should be able to leave," Patel said.